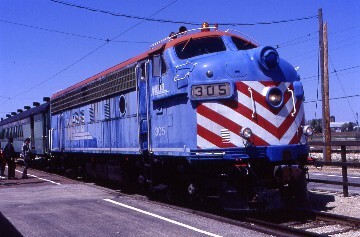 5/3/2003 After a continental breakfast and checking out, I drove US 14 east to Harvard stopping there for a few Metra pictures and to buy a new watch. 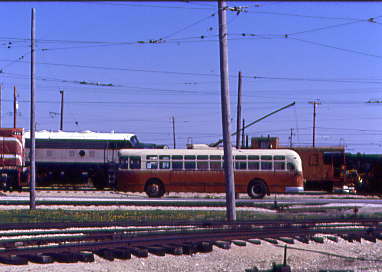 Next I took IL 23 south to Marengo where I turned left onto US 20 east to Union Road which I took through Union, crossed three sets of tracks and pulled right up to the locked front gate of my destination then waited for someone to come open it for me which they did thirty five minutes later. Since there was no one at the entrance I decided to look around first and pay later. 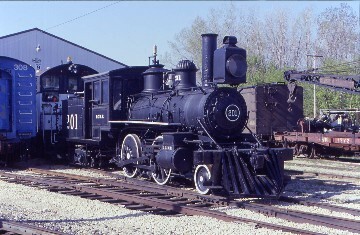 My first picture since it was Casey Jones Day was of the Illinois Central 2-4-0 201 which had worked out of Chicago in commuter service the same time Casey was working there. 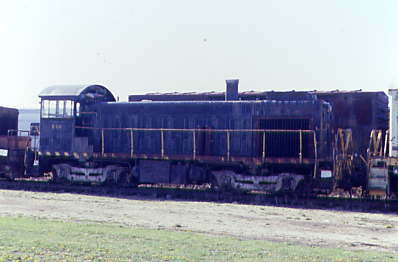 Did Casey work this locomotive? We may never know as there are no records pointing to that fact. 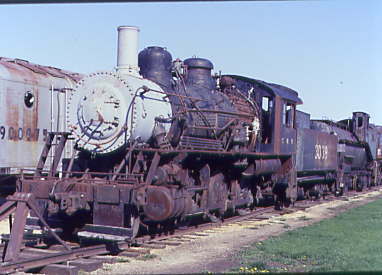 I walked over to the outdoor steam locomotive line shooting pictures of the various steam engines in all sorts of condition. 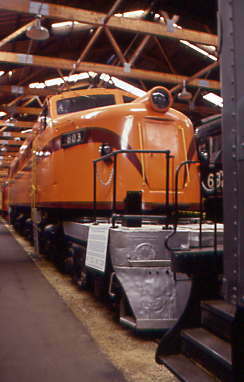 Throw in the diesels like UP DD-40AX 6930 you begin to get a feel of what this museum has. 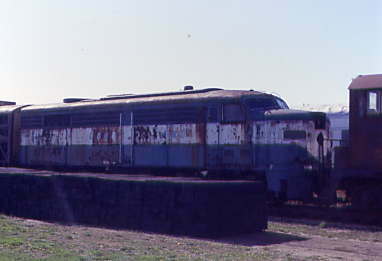 I walked out to another outdoor storage area finding more unique diesels, steam engines plus railroad cars and some trolleys. 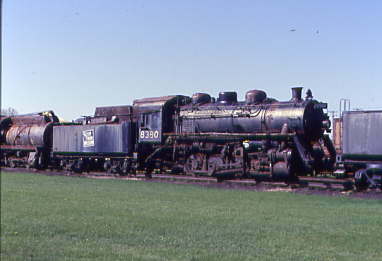 Grand Trunk Western 0-8-0 8380. 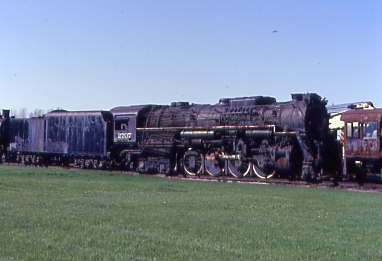 Norfolk & Western 2-8-8-2 2050. 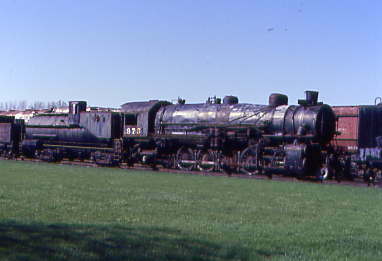 Chesapeake & Ohio 2-8-4 2707. 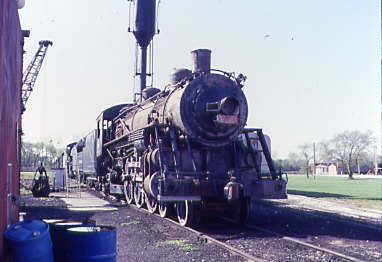 Illinois Central Railroad 2-6-0 3719. 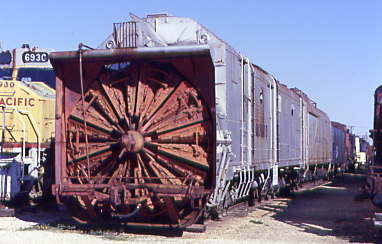 Union Pacific Rotary Snow Plow 900075. 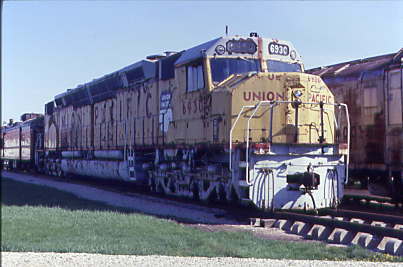 Union Pacific Railroad DD40AX 6930. 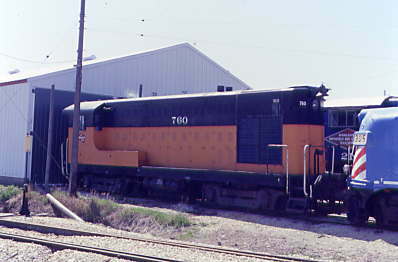 Chicago Milwaukee St. Paul & Pacific (Milwaukee Road) FP7A 104C. 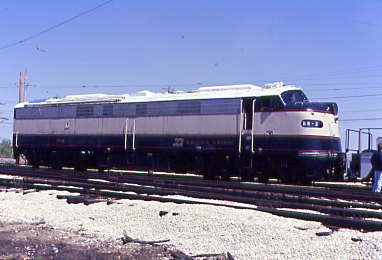 Chicago Milwaukee St. Paul & Pacific (Milwaukee Road) F7B 96B. Louisville & Nashville FA-2 314 ex Long Island 1014. 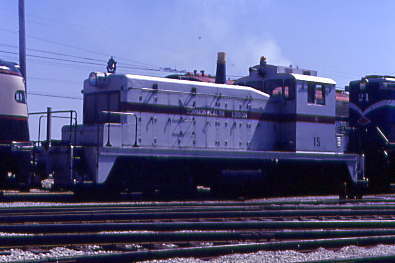 Dardanelle & Russellville SC 14. 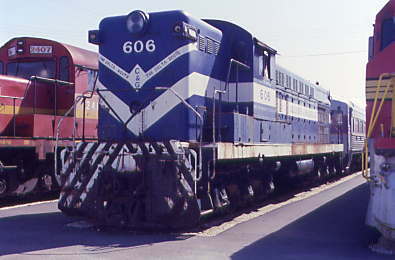 Wyandotte Terminal Railroad VO660 103. 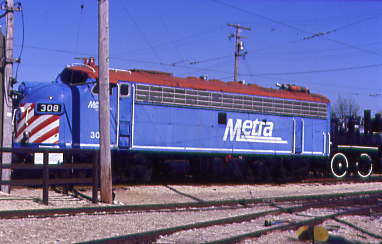 Metra F7A 308. I then started my tour of the car barns beginning with car Barn 8. 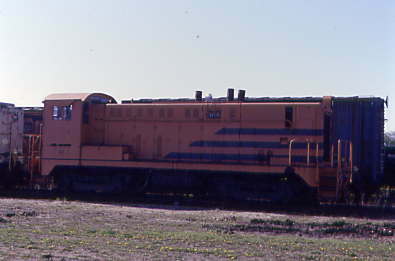 Here there is the sister engine to the Milwaukee Road 261, the Milwaukee Road 265 and Pennsylvania Railroad GG-1 4927. 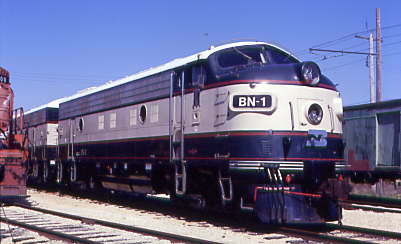 The Nebraska Zephyr Chicago Burlington & Quincy E-5 9911A and train set. 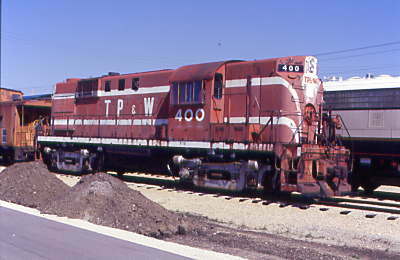 Toledo Peoria & Western RS11 400. 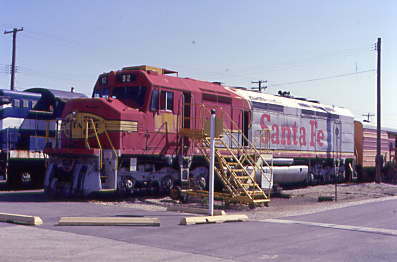 Columbus & Greenville AS-416 606. 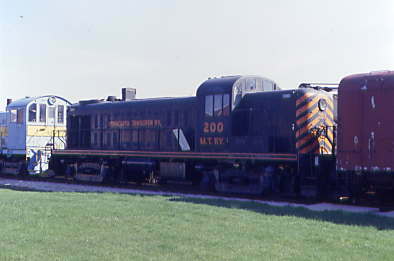 Green Bay & Western RSD-15 2407. 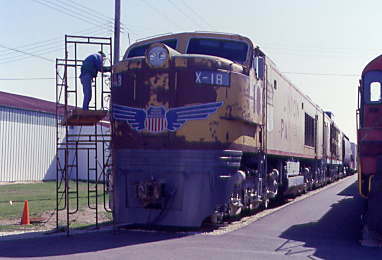 Union Pacific Gas Turbine X-18. 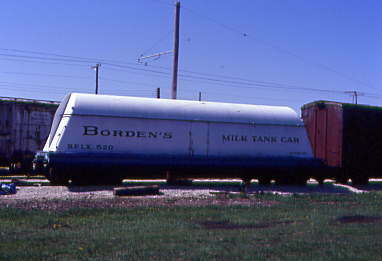 Borden's Milk Car BFIX 520. 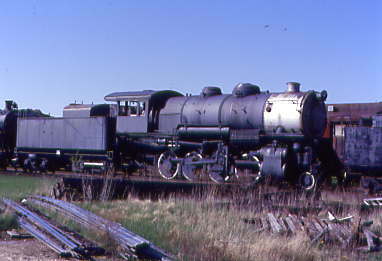 Minneapolis Northfield & Southern Railway DT6-6-2000 21. 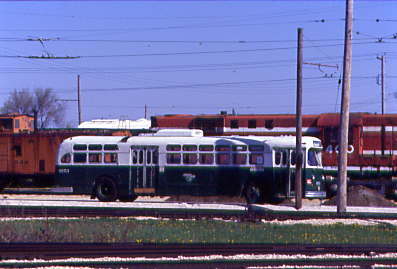 Chicago Milwaukee St. Paul & Pacific (Milwaukee Road) H10-44 760. 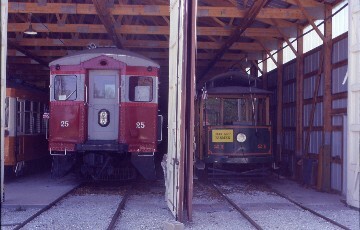 There are other car barns full of trolleys, railroad passenger cars, buses and electric buses with me seeing them all. 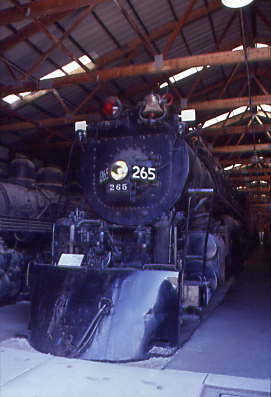 Add all this up to what's displayed outside and there is 450 pieces of railroad equipment, 185 of that inside and 64 pieces under restoration. 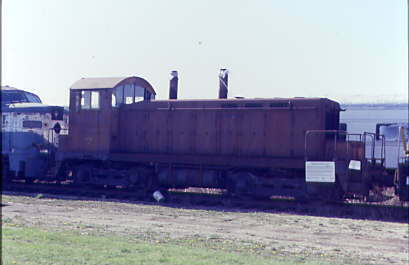 This museum really had an extensive collection of all sorts of railroad equipment. 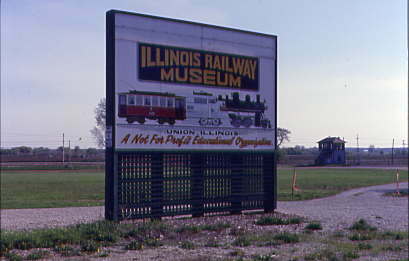 I learned that the Illinois Railroad Museum was founded by 10 people in 1953 with a sole purpose of saving a single car, the Indiana Railway 65. 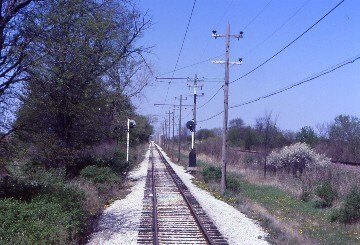 They paid the back taxes in order to get the right-of-way of the former Elgin Belvidere Electric Railway and also the land the museum resides on. 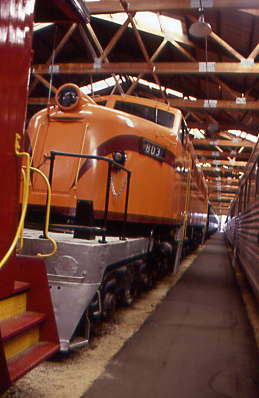 It is all volunteers that make this museum happen and they do an excellent job. 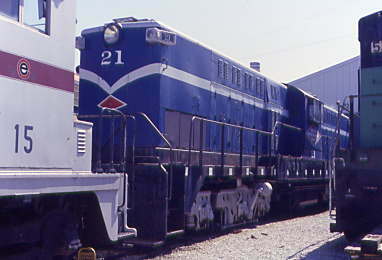 After shooting some pictures of more unique diesel units, it was time to take a train ride. I started with the loop that goes around the museum's ground. 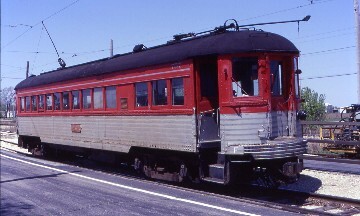 The car I was riding in was built in 1932 for the Illinois Traction as their Car 415 running on the isolated Illinois Valley Route traveling from Joliet to Ladd until 1935 when that line was abandoned. 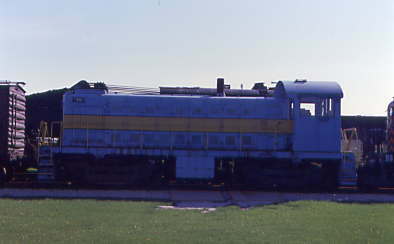 The car was then moved to Granite City, IL. 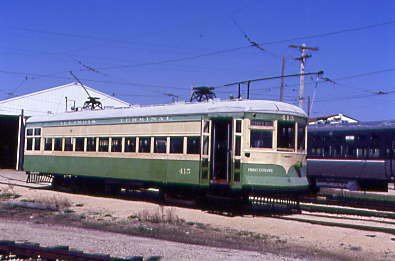 to run in commuter service from there to St Louis from 1935 to 1957. 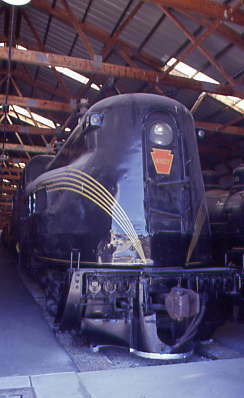 It had the distinction of being the first car to be run here at the museum. 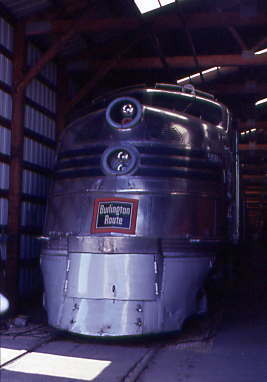 This trip gives the rider a great view of most of the outside displayed equipment. 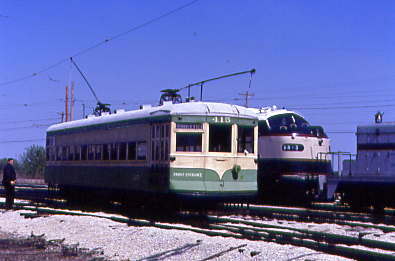 Once the trip around the loop was complete it was now time for the mainline trip. 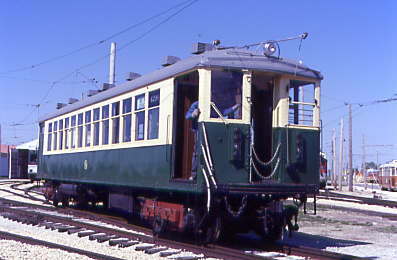 I boarded the North Shore 757, a 1930 built car by the Standard Steel Car Company. 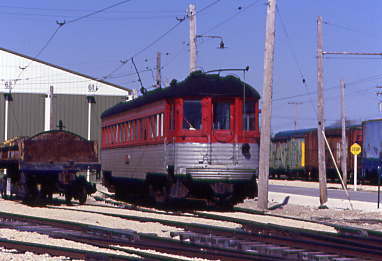 We headed out into the Illinois countryside and it was like riding a real interurban train. On the westward trip I shot pictures the whole way back. 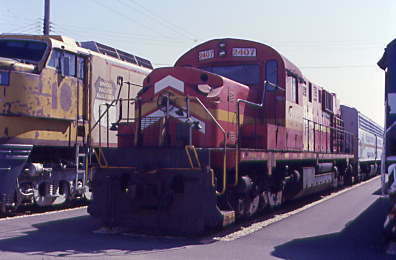 We came past the depot and ran to the end of the line in Union before heading back. 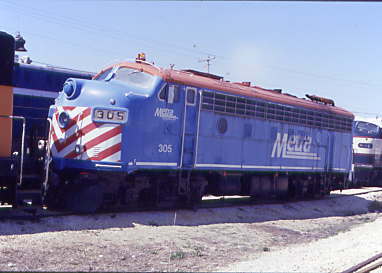 After a few pictures of Metra 305, an F-7A which was going to pull a train later on in the afternoon. 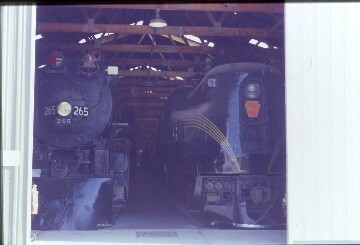 I looked through the last two car barns before I said my good byes to the friendly train crews of the Illinois Railroad Museum. I drove east until I hit Illinois 47 which I took north. This highway turned into Wisconsin 120 taking me though beautiful Lake Geneva then onto East Troy my next stop on this trip. 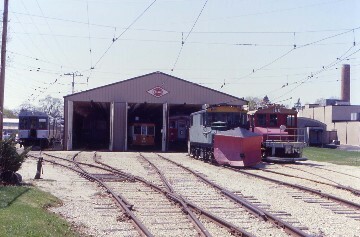 I pulled up and parked then walked over to the depot where I introduced myself and was then told to enjoy my visit to the car barn. 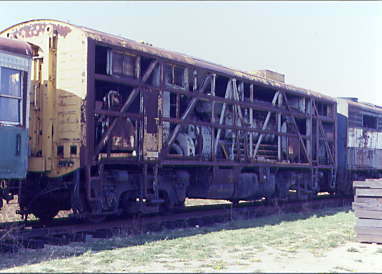 I walked down the right-of-way and outside I found two 50 ton Steeple cabs L8 and L9 from the former Milwaukee Electric Railway & Light Company. Inside the barn is a real neat collection of cars. 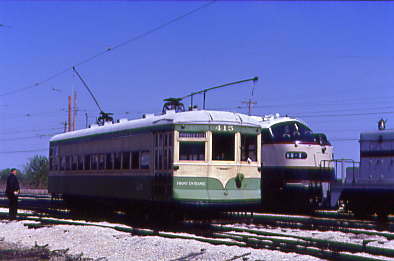 Cars 24 and 25 called the Beverly Shores and Ravenwood are used on their dinner train and are ex Chicago South Shore & South Bend. 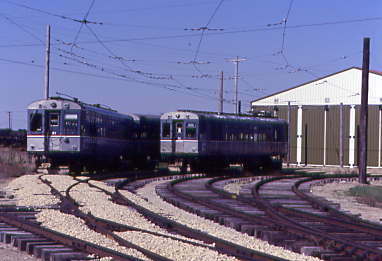 They have Green Bay Traction 21, an open sided car, two Boston Rapid Transit Blue Line cars 0501 & 0506 and Sheboygan Light Power And Railway 26. 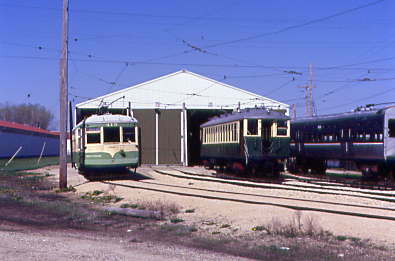 These are just a few of the cars they have in their collection of electric railway equipment. I had an enjoyable visit here before I drove to the Sleep Inn in Mukwonago for a restful evening. 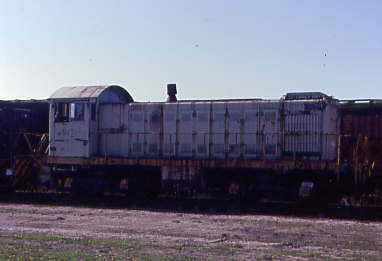 5/4/2003 Sleeping in is a highly unusual event for me and after a continental breakfast, I drove back to Milwaukee. I took Interstate 43 to I 834 to I 94 to Miller Park Way. I passed the stadium choosing the gas up the rental car in preparation of returning it later this afternoon. I got to park for free because I had arrived so early then walked to Miller Park with the roof closed. I went up to fourth deck finding my seat in the Family Section 518, no alcohol section. 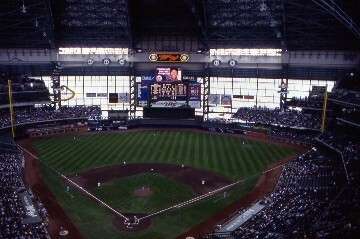 Miller Park is one of the major league stadiums with a retractable roof and since there is a front coming in the roof will stay closed for the game. I learned that it takes 10 to 11 minutes to open or close the roof from a park employee. There is an arch of glass windows above the first and third base stands that allow plenty of natural light augmented by banks of lights. Behind the outfield is also glass. The field is of course real grass. This is an amazing ball park. I watched both teams take batting practice then watched the ground crews prepare the field. Bernie Brewer, the mascot, did his pregame thing from Bernie's Dugout including his slide to Fireworks to waving the Brewer's Flag. Now to the game. Bottom of the first, Richie Sexson hit a solo blast off the Piggly Wiggly sign out above center field. We had "Becky will you marry me?" in the bottom of the third with "Yes" as the answer. In the bottom of the third the Brewers added another run after Clayton Royce singled, sacrificed by the pitcher Matt King to second then Alex Sanchez hit a triple to score him. In the top of the fifth, the Mets loaded the bases and then Cliff Floyd hit a grand slam to deep center. The Brewers made it close when Alex Sanchez stole third and went home on a Mike Piazza throwing error bringing the score to 4-3 Mets. In the top of the 8th, the Brewers walked in a run to make the final score 5-3 Mets before 18,571 fans. 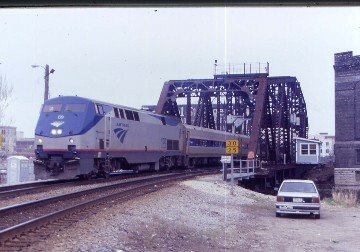 I returned the rental car just before the Empire Builder arrived allowing some pictures of that train. I walked over to the Ramada Inn, checked in and got my room on the 6th floor. 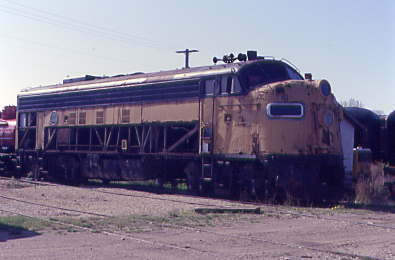 I walked up to the museum for some post cards and then went to the grade crossing at the east end of the depot to catch Hiawatha Service 337 arriving from Chicago. On my return to the hotel, I mailed a post card before having a roast beef dinner in the hotel's restaurant. I returned to my room to relax for the rest of the evening.